The 2018–2019 Arkansas Arts Center Children’s Theatre continues this spring with Charlotte’s Web. The closes on Sunday, March 31, 2019. Performances of Charlotte’s Web are Fridays at 7 p.m. and Saturdays and Sundays at 2 p.m. Tickets are $10 each for Arkansas Arts Center members or $12.50 for non-members. Wilbur the piglet is the runt of his litter. But under the loving care of eight-year-old Fern Arable—and due in no small part to the delicious and plentiful slops on her Uncle Homer’s farm—Wilbur grows up into a fine specimen of a pig. Pink and plump and so polite. Yep. Wilbur is no ordinary pig, and thanks to the acrobatic web-writing of his friend Charlotte, a kindly barn spider, the world soon learns just how “terrific” and “radiant” he is. But Charlotte’s greatest gift to Wilbur goes beyond just flattering words spun in a web. Through this gentle creature, he experiences the true meaning of responsibility, friendship, and loyalty. Come join in this heart-warming barnyard adventure and marvel at the wonder of Charlotte’s web. Darby Haddock, Kennedy Laster, and Reese von Storch are Baby Spiders. Via Benjamine Gahi, Isabelle Marchese, and Dylan Sykes are the ensemble. The 2018–2019 Arkansas Arts Center Children’s Theatre continues this spring with Charlotte’s Web. The show runs March 8–31, 2019 with a special Pay-What-You-Can preview performance on Thursday, March 7. Performances of Charlotte’s Web are Fridays at 7 p.m. and Saturdays and Sundays at 2 p.m., with spring break matinees March 19–22 at 2 p.m. Tickets are $10 each for Arkansas Arts Center members or $12.50 for non-members. Wilbur the piglet is the runt of his litter. But under the loving care of eight-year-old Fern Arable—and due in no small part to the delicious and plentiful slops on her Uncle Homer’s farm—Wilbur grows up into a fine specimen of a pig. Pink and plump and so polite. Yep. Wilbur is no ordinary pig, and thanks to the acrobatic web-writing of his friend Charlotte, a kindly barn spider, the world soon learns just how “terrific” and “radiant” he is. But Charlotte’s greatest gift to Wilbur goes beyond just flattering words spun in a web. Through this gentle creature, he experiences the true meaning of responsibility, friendship, and loyalty. Come join in this heart-warming barnyard adventure and marvel at the wonder of Charlotte’s web. The Arkansas Arts Center Children’s Theatre will offer several events in conjunction with Charlotte’s Web, including a Pay-What-You-Can preview, opening night celebration and a pajama party. Full programming details can be found below. Pay What You Can Preview: Charlotte’s Web – 7 p.m.
“Pay What You Can” tickets are available for the 7 p.m. preview performance of Charlotte’s Web. Tickets are available for purchase in person, at the Arkansas Arts Center, 501 East 9th Street from 10 a.m. – 5 p.m. at the Stephens Inc. Visitors Center. The maximum ticket purchase is six tickets per person and ticket sales are based on availability. PWYC SHOWS CAN AND DO SELL OUT. We recommend arriving early for the best chance at “Pay What You Can” tickets. Additional tickets can always be purchased in person, online or by phone at regular ticket pricing: $10 for AAC members; $12.50 for non-members. Join us for dinner at Watercolor in the Park before the 7 p.m. opening night performance of Charlotte’s Web! Creative coloring placemats featuring activities and artwork from the show will be available for children to enjoy. Seatings at 5 p.m., 5:15 p.m., 5:30 p.m., 5:45 p.m., and 6 p.m. Opening Night Celebration: Charlotte’s Web – 7 p.m.
After the show, enjoy a meet and greet with the cast, snacks and punch to celebrate the opening night of Charlotte’s Web. Pajama Night at Charlotte’s Web – 7 p.m.
Toss on those cute pajamas and join us at the Children’s Theatre for the 7 p.m. performance of Charlotte’s Web. Stickers are available at the Box Office before the show for children (and parents!) wearing pajamas. There will be American Sign Language interpreters at the 2 p.m. performance of Charlotte’s Web. Visit the Box Office before the performance for seating assistance. The 2018–2019 Children’s Theatre Season is presented by Arkansas BlueCross and BlueShield. Spring Season Sponsors are Dr. Loren Bartole, Family Foot Care and Centennial Bank. Show Sponsors are Cindy and Greg Feltus and the Junior League of Little Rock. Media Sponsor is Little Rock Family Magazine. Pay What You Can previews are presented by the Arkansas Democrat-Gazette. Additional support is provided by Morris Foundation, Inc. For more information about the Children’s Theatre, visit ArkansasArtsCenter.org/childrenstheatre. For two weekends only, the Arkansas Arts Center Children’s Theatre will bring Homer’s epic poem, The Odyssey, vibrantly alive in a fusion of music, dance, mime, masks and choral effects as part of the theatre’s Studio Show series. Running February 19-28, The Odyssey tells the story of King Odysseus who enduring Poseidon’s wrath, faces witches, sirens and a cyclops as he wends his way—literally through Hell and high water—to his home and the long-suffering love of his Queen Penelope. The Odyssey will run February 19-28; Fridays at 7 p.m., Saturdays at 2 p.m. and 7 p.m., Sundays at 2 p.m.
John Isner directed The Odyssey. It was adapted for the stage by Keith Smith who also designed the set. Costumes are designed by Erin Larkin, lighting design by Mike Stacks, properties design by Miranda Young, music composed by Lori Isner, choreography by Erin Fowler and Nicole Jovanovic is the stage manager. Jeremy Matthey of North Little Rock as Eurylochus. Show times: February 19-28; Fridays at 7 p.m., Saturdays at 2 p.m. and 7 p.m., Sundays at 2 p.m.
Best enjoyed by children in third grade and up. Tonight at 7pm, Saturday at 2pm and 7pm and Sunday at 2pm, audiences will have a chance to relive the glory days of space exploration with the play Apollo to the Moon. 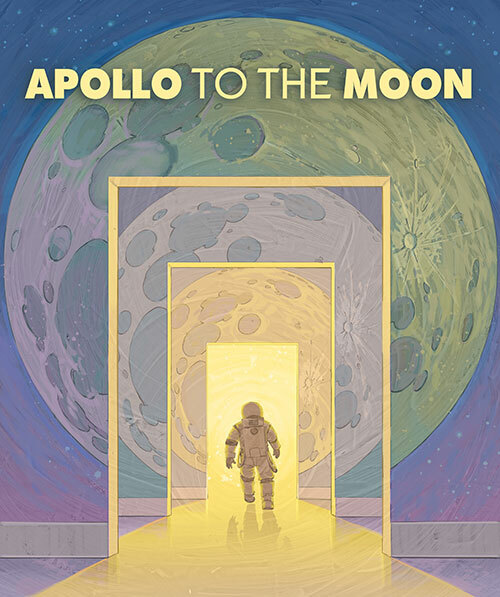 Originally produced by Smithsonian’s Discovery Theatre, Apollo To the Moon is a history-packed celebration of our American Space Program, wherein young astronaut-hopeful Scott Gibson learns that it takes more than just a rocket and a space helmet: It takes math, science, physical stamina, mental perseverance—and, oh yes, a dream. 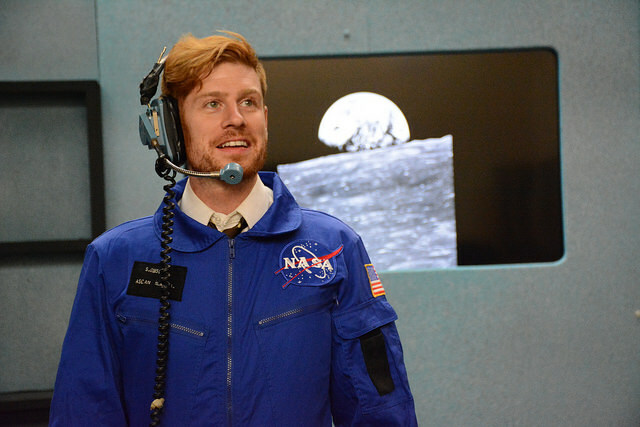 This play introduces today’s young audiences to the glory days of the space program. Apollo to the Moon is an exciting look at the breathtaking risks and unforgettable heroism of the American Space program. Told through the lens of one young man’s dream to become an astronaut, this thrilling story takes you on the journey that gripped the nation. Jeremy Matthey stars in this one-man show written by Mary Hall Surface, directed by John Isner with music by Lori Isner. 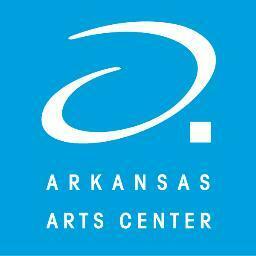 The 2015/2016 season of the Arkansas Arts Center Children’s Theatre is sponsored by: Presenting Sponsor, Arkansas BlueCross Blue Shield; Fall Season Sponsor, Centennial Bank; Spring Season Sponsors, The Fine Arts Club of Arkansas and Dr. Loren Bartole, ‘Family Foot Care’; Additional Support Provided by The Morris Foundation and Media Sponsor, Little Rock Family Magazine. Recognized by The Drama League as one of the best regional theatre companies in America, the Arkansas Arts Center Children’s Theatre is the only professional company in Arkansas that produces children’s literary works for the stage. New this year, AACCT will also feature three Studio Shows: The Ugly Duckling; Apollo: To the Moon and The Odyssey. The Ugly Duckling is a recipient of the 2015 Jim Henson Foundation Family Grant which celebrates innovation and excellence in puppetry. It will feature original music performed live by an ensemble from the Arkansas Symphony Youth Orchestra, directed by Geoffrey Robson. The Ugly Duckling is presented by The Philip R. Jonsson Foundation and sponsored by The Jim Henson Foundation. Studio Shows are intended to provide space to explore new ideas and themes, and appeal to a different audience than Main Stage shows. Smaller in size and budget, Studio Shows are intended to showcase actors and ideas over scenery and properties. Theatre doors open 30 minutes prior to show for seating. Show times: Fridays at 7 p.m., Saturdays at 2 p.m. and 7 p.m., Sundays at 2 p.m.
Best enjoyed by kindergarten and up. This reimagining of the classic fairytale follows a young girl as she embarks on a journey of self-discovery and personal transformation. This shadow play unfolds with three actor-puppeteers, two overhead projectors, more than 60 paper puppets and original music performed live by an ensemble from the Arkansas Symphony Youth Orchestra, directed by Geoffrey Robson. The Ugly Duckling is a recipient of the 2015 Jim Henson Foundation Family Grant which celebrates innovation and excellence in puppetry. Presented by The Philip R. Jonsson Foundation and sponsored by The Jim Henson Foundation. Devised and Directed by Katie Campbell; Music by Jessica Drake Mosher. For more information and to purchase tickets, visit ArkansasArtsCenter.org/theater. Best enjoyed by all ages. So what does it take to get to the moon? In this history-packed celebration of our American Space Program, young astronaut-hopeful Scott Gibson learns that it takes more than just a rocket and a space helmet: It takes math, science, physical stamina, mental perseverance—and, oh yes, a dream. Originally produced by Smithsonian’s Discovery Theatre. Written by Mary Hall Surface; Directed by John Isner; With music by Lori Isner. Best enjoyed by third grade and up. Homer’s epic poem comes vibrantly alive in a fusion of music, dance, mime, masks, and choral effects. Enduring Poseidon’s wrath, King Odysseus faces witches, sirens and a cyclops as he wends his way—literally through Hell and high water—to his home and the long-suffering love of his queen Penelope. Adapted for the stage by Keith Smith, Music by Lori Isner.